Find out how to add keywords to track on Rank Tracker for an existing project. Let's say you already have a project set up on your Dashboard. 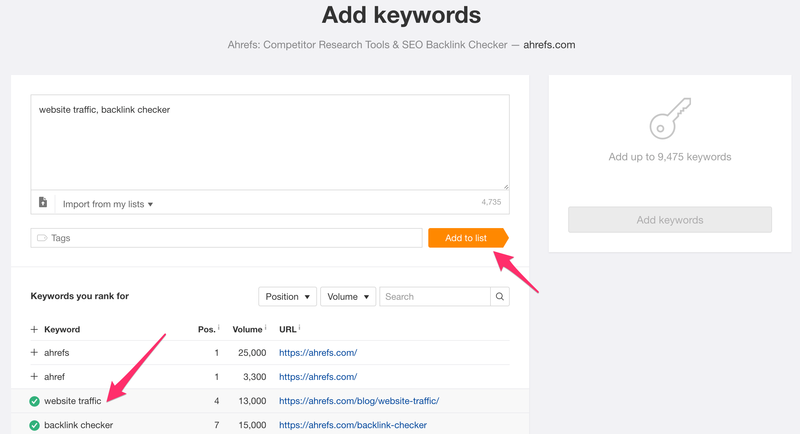 Here's how to add new keywords that you wish to track on top of those you may have added earlier. Within the Rank Tracker Dashboard, click on "Keywords" from the target project. Select or key in your keywords whilst separating each keyword with a comma. Then click "Add to list". Your keywords will be populated as seen on the right. Do note that there will already be location(s) specified based on your previous keywords added. Depending on your subscription provision, you may be able to add a new location. 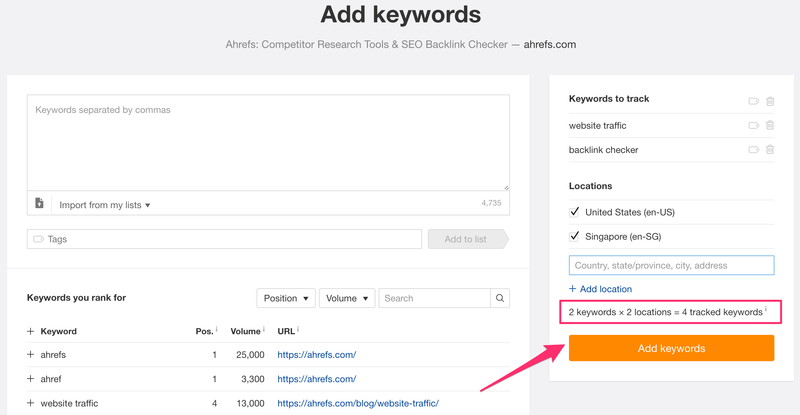 Also, depending on whether your total tracked keywords exceeds your current subscription limits (find out how are tracked keywords calculated for Rank Tracker), adding keywords/locations will be disabled. Once you are done with selecting the specific location or adding more locations, go ahead and click "Add keywords".